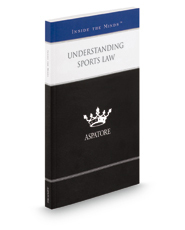 Understanding Sports Law provides an authoritative, insider's perspective on representing clients in virtually every area of legal practice, from contract negotiation and criminal/civil litigation to intellectual property and estate planning. Written by partners from some of the nation's leading law firms, this book guides the reader through proven best practices for attorneys who represent professional athletes, ownership groups, and the alphabet soup of amateur, professional, and international entities – e.g., NBA, MLB, NFL, NCAA, and IOC. Addressing such important issues as player contract and endorsement negotiation, wealth preservation, and the escalating issue or workplace harassment, these top lawyers analyze the current issues athletes and management face and discuss how leaders and their counsel are meeting these challenges. The different niches represented and the breadth of perspectives presented enable readers to get inside some of the great legal minds of today, as these experienced lawyers offer up their thoughts on the keys to success within this growing field.